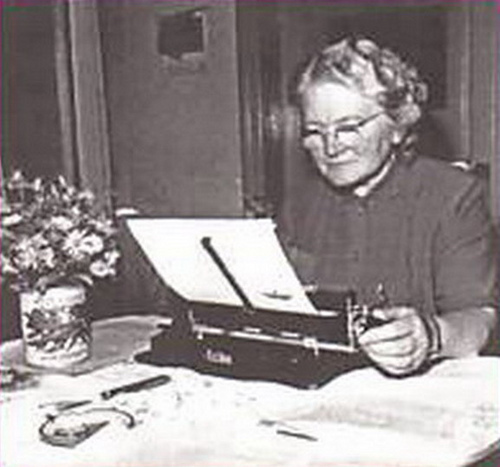 Paula Hitler (sometimes known as 'Wolf', or 'Wolff') at her typewriter in about 1959. Paula had worked in a secretarial role in an insurance company in Vienna prior to the war and later as a hospital secretary, so she was a capable typist. I believe that this photo was taken in her apartment at Berchtesgaden during 1959.